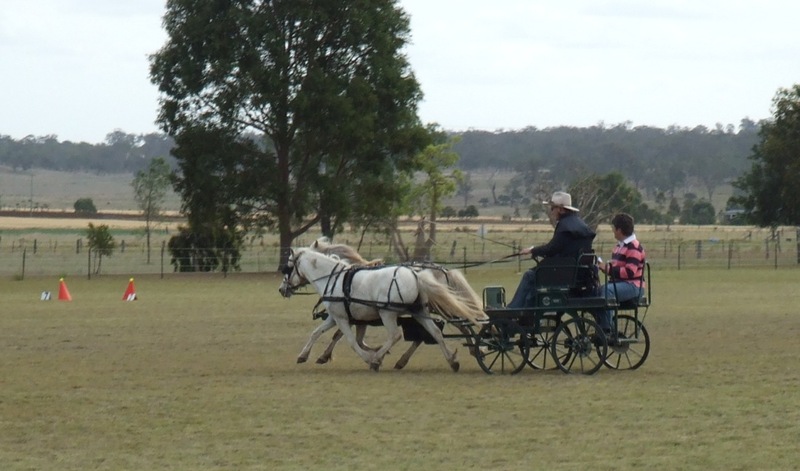 Over 25 people attended the activity day held at the Dillmann’s property , “Strongfield Stud” at Southbrook on Sunday 28 October. There were 11 drivers of various skills and abilities, with Tracie Borg making the trip from Clermont with her new pair. 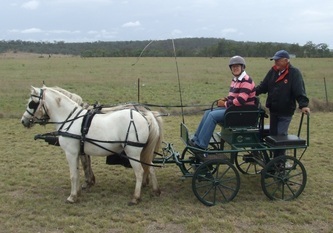 Terry Wells from The Range club brought his young gelding along for some social exposure and Peter and Annette Cousins trialled a new mini pony pair combination. 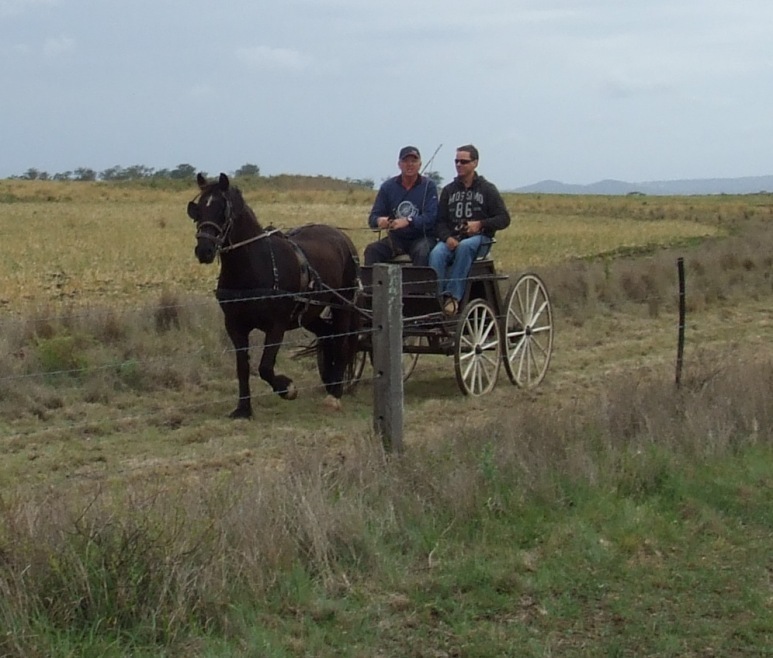 The weather was cool and overcast and just perfect for the 10.5km pleasure drive along local roads and adjoining properties. 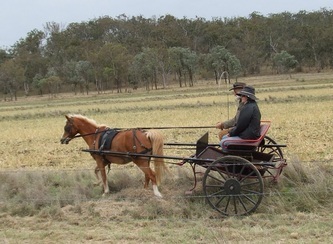 Kurt and Melanie Dillmann negotiated the creek crossing well with Kurt’s mare Zali, and it was great to see Greg Bowdler out and about with his 20 year old mare, Genevieve. 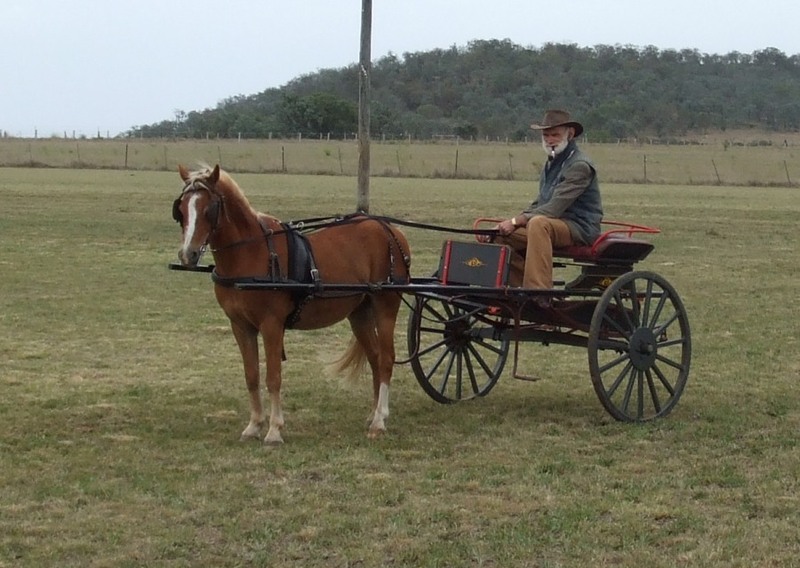 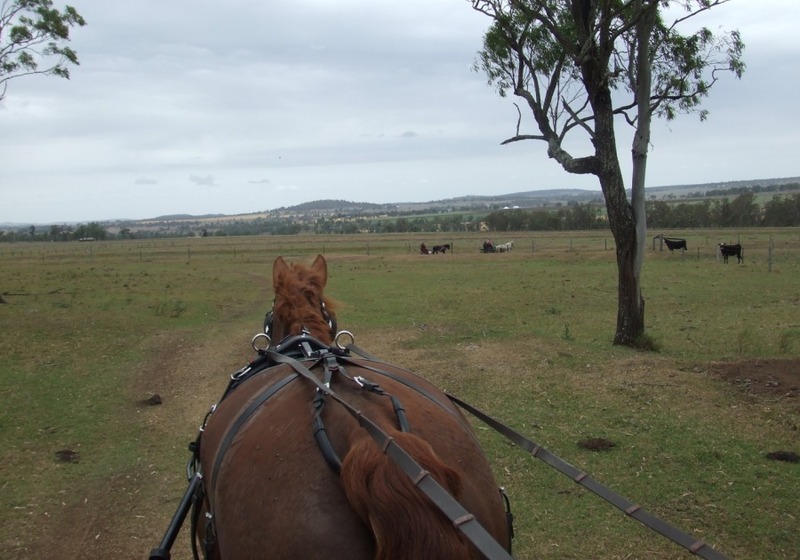 Clive Whalen and his pony enjoyed the sights driving through some new countryside. 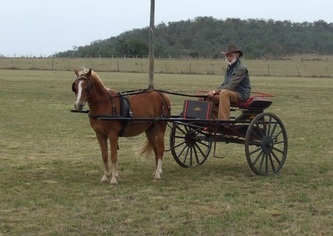 Eugen Dillmann, with grooms Claire Dillmann and Jim Stewart , led the way with Captain and were first to arrive for the morning tea pitstop at Mick and Carol Collins property, ‘Rockview’. 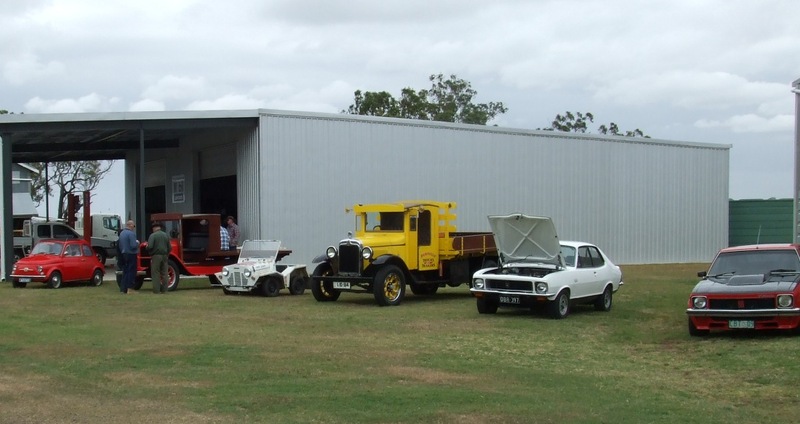 Mick restores old trucks and has an impressive collection of classic cars and trucks which he kindly displayed for our carriage drivers to enjoy. Thanks must go to Mick and Carol for their hospitality and generosity. 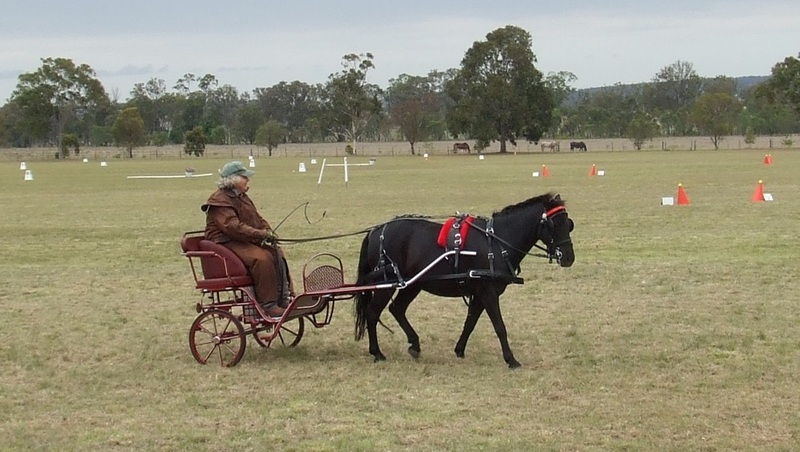 Before lunch drivers were given some simple unseen dressage tests to execute. 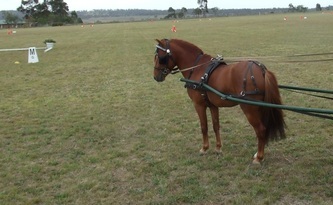 Two 100m x 40m arenas were set up for drivers to practice honing their skills. 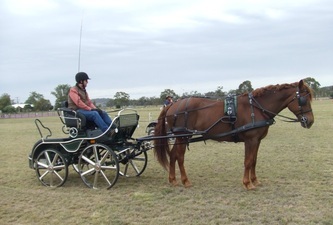 Claire Dillmann drove a good test with Greg Bowdler’s mare, Genevieve and Emily Simmons enjoyed the opportunity to practice with her chestnut pony. Linda Doulin, Annie Margach and Rosemary Wiffin cooked a most enjoyable lunch which was much appreciated by all after the morning’s activities. 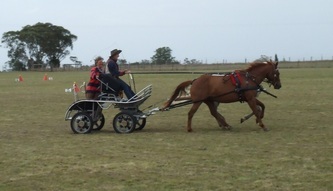 The cones course proved to be the most entertaining part of the day for Angie Cain and Monty. The course was open and free flowing and beautifully presented with the club’s new set of imported official driving cones from the UK. 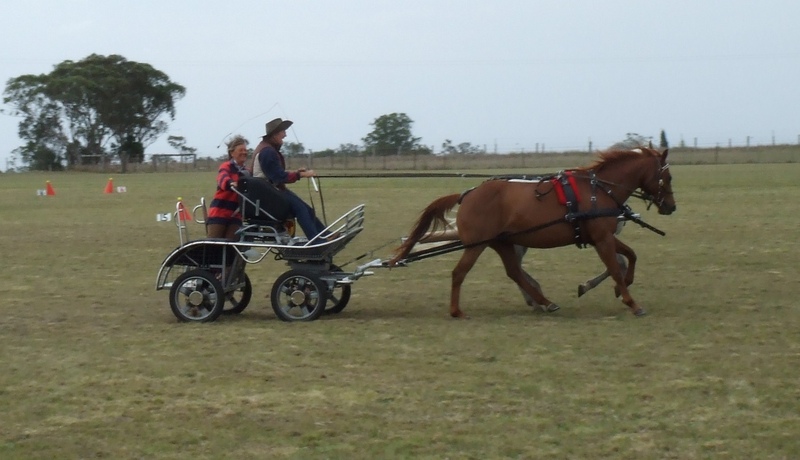 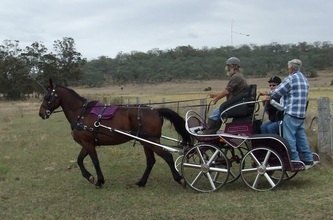 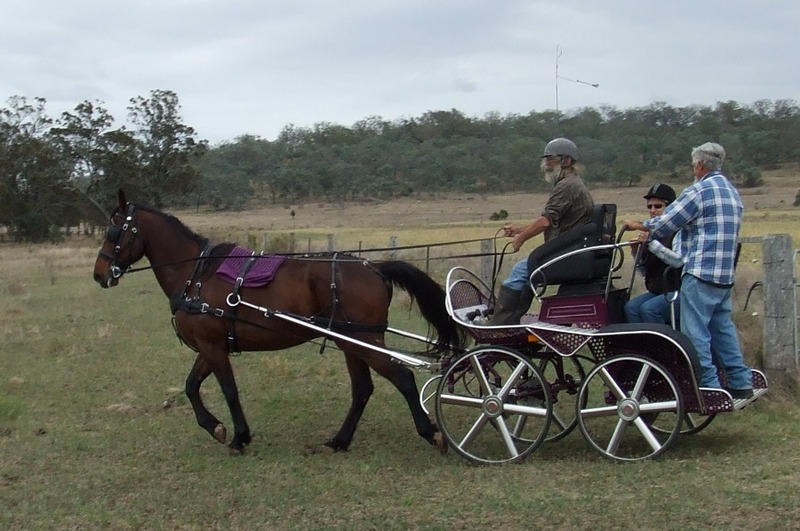 Lorraine Stewart had fun driving Tracie Borg’s Marbo around the course and Karyn Dillmann and Paul Humberdross put on quite a turn of speed taking turns driving Greg Bowdler’s pony pair. There was some wonderful entertainment when Tracie Borg and her sister Deb drove their pair on the course at the same time as Kurt Dillmann and Hugh Stephens with Zali. 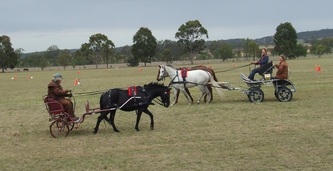 Thanks to everyone who came along and made the day such a success.